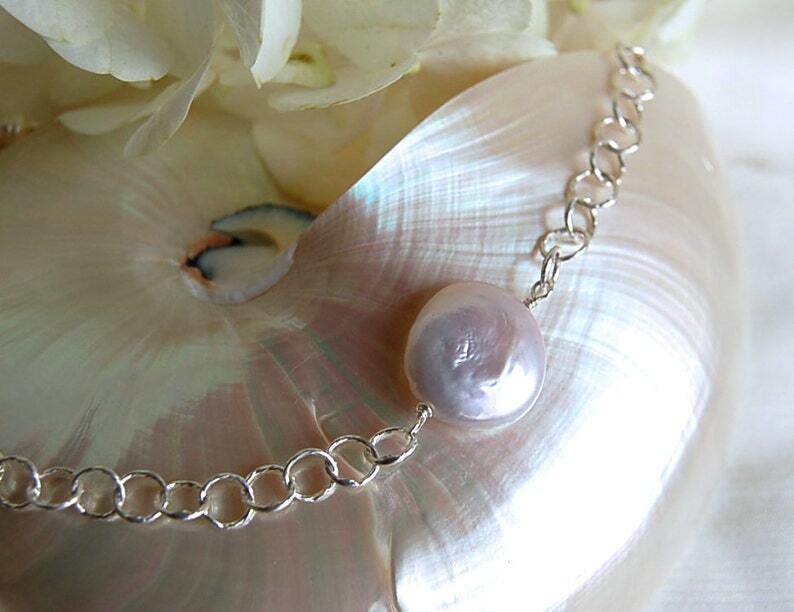 This Bracelet is made from a simple, elegant Sterling Silver chain and features one white freshwater pearl. The shape of this pearl is called a "coin" (pearl will vary slightly). The sterling silver lobster clasp can be attached into any of the chain links to create the perfect size. Adjustable up to 7 1/2". If you prefer a custom length...please include a message with your payment. Finished with a smaller white pearl at the end. Beautiful for a wedding or any occasion! Classic and traditional!